Are you a web developer who uses Django to build web apps? 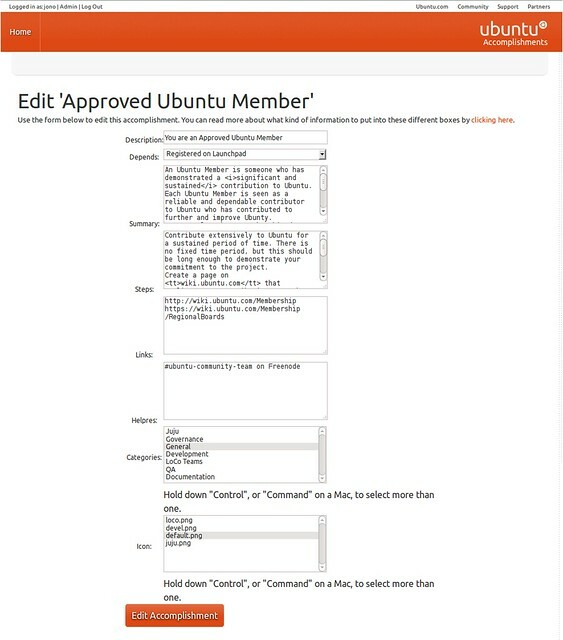 We are looking for a developer to contribute to the Ubuntu Accomplishments editor to help make it easy for people to contribute documentation for accomplishments across the community, Ubuntu desktop, and elsewhere. I started working on this, but I need to focus my time on the core system so I am looking for folks who might be interested in helping with this. The first cut, but we need your help! If you are interested in helping, either get in touch with me at jono AT ubuntu DOT com or feel free to join the mailing list. Thanks! Most website design companies focus on cost-effective and reliable web design services. For beginners in online business, web design company also offers consulting services, and make them aware of the benefits of e-commerce through online business.